Many of us can’t function without our morning coffee. We use it to get our day started and without it, often feel headachy, tired, and grumpy. It’s an addiction like any other and once off coffee, and over the hump of withdrawal, you may just realize how steady and even your energy is staying because you’ve reined it in and trained it to work for you! If you’re planning on giving up coffee — or you’ve already started — here are some amazing ways to naturally keep your energy levels up! Staying optimally hydrated is critical to get nutrients to your cells and wash away toxins. The next time you find yourself tired during the day, drink a glass of cold water and see how dramatically your energy picks up almost instantly. “Over half of our body is made of water, so it’s not surprising that even mild dehydration can cause fatigue and poor concentration. A body even a half-quart low on water can make you noticeably tired,” says energy expert, Jacob Teitelbaum, MD. Sounds indulgent, but it’s incredibly good for you. Massage improves circulation, increasing the supply of nutrients and oxygen to the body’s cells and washing away energy draining metabolic waste. “Studies also show massage therapy increases serotonin, which affects the regulation of mood, appetite, and sleep, therefore helping you get a full night of sleep naturally and increasing energy levels during the day,” says Colleen O’Conner, licensed massage therapist with Elements Massage. Coming off coffee, your body is craving energy and balance, and for some, that clarity-of-mind that coffee brings. You may find yourself craving more sugar to get that quick-fix buzz. “For many of my clients who have sugar or caffeine cravings, I recommend getting some superfoods into the diet like goji berries or raw cacao (the unprocessed form of chocolate). Goji berries have a bright sweet-tart taste and are high in iron, Vitamin C and an array of minerals with rejuvenating health properties. Raw cacao can be consumed as a powder in a smoothie or as nibs. It is also chock full of minerals and nutrients with healing properties, such as the compound theobromine, which provides energy to the body and mind. Raw cacao is bitter so I always mix it with something naturally sweet,” says Susan Tucker, a nutrition counselor and health coach in New York. Get eight hours of sleep at night. This not only helps energy and mental clarity, but also keeps you younger looking, decreases pain, and optimizes immune function. “Herbal sleep aids like Valerian, passion flower, hops, Jamaican Dogwood, wild lettuce, and theanine can leave you sleeping like a baby,” says Dr. Teitelbaum. Take D-Ribose, the healthy energy booster. Caffeine and sugar are energy loan sharks. “On the other hand, a special nutrient called “ribose” has been shown to increase energy an average of 61%, even in very fatigued people with CFS or fibromyalgia. Get the powder form, which looks and tastes like sugar. Use 3 grams 2x a day for mild fatigue or 5 grams 3x a day for severe fatigue,” says Dr. Teitelbaum. One way to nutritionally replace the energy derived from is through the mineral magnesium. “As one of the key electrolytes, magnesium is an excellent example of an energy nutrient, since it activates enzymes that control digestion, absorption, and the utilization of proteins, fats, and carbohydrates. Because magnesium is involved with hundreds of enzymatic reactions throughout the body, deficiency can affect every aspect of life and cause a score of unhealthy symptoms,” says Carolyn Dean, MD, ND, author of The Complete Natural Guide to Women’s Health. “Magnesium is required for the body to produce and store energy. Without magnesium there is no energy, no movement, no life. When you lose it through sweat and physical stress and exercise you need to make sure you replenish it. Magnesium comes in many forms, one of the most absorbable is in the form of a powdered magnesium citrate which can be dissolved in water,” says Dr. Dean. The traditional advice to avoid sunshine is lately being recognized as ill advised, just as the old AMA recommendations to smoke cigarettes were found to be wrong! “Our bodies get vitamin D from sunshine, and vitamin D deficiency is becoming rampant because of our sunshine phobia. The cost? Increased diabetes, high blood pressure, diabetes, osteoporosis, pain, and much more. The right advice? Avoid sunburn, not sunshine!” says Dr. Teitelbaum. Including ample amounts of fresh greens in your diet will certainly keep your energy up. Dark leafy greens are supreme. “Just as greens and foliage give the earth oxygen, they also work for us to keep our circulatory system healthy and running smoothly, and all that fiber is great for our digestion and for carrying out toxins. Poor digestion is a huge energy zapper, so keep this in check, especially when you are off caffeine. You may even start noticing the role of digestion more in your energy reserve, when you stop providing your system with an energy replacer,” says Tucker. There is truly a science and skill in garnering and sustaining our energy through food and proper nutrition. “The key is to find meals and snacks in which the calories are made up of the optimal nutrients to fuel you. Usually these have ample fiber and include some protein,” says Tucker. Think of the difference between grabbing a donut or having some pear slices with a serving of nut or seed butter for a snack. The donut is delicious and will give you energy for a short time, but you will be hungry again soon, and will need another quick fix. The other option contains fiber and protein, which will sustain you. Once you come off coffee, you may find yourself thinking about food more or even constantly! Why? You are seeking energy. You have become so used to drinking energy through coffee. Once you find your own foods that work for you to give you and sustain your energy, your thoughts of coffee will naturally fade into the distance. As you come off coffee, exercise will serve you well. Not only does exercise enhance the quality of our sleep, it also improves digestion. “Initially you may feel more tired especially if you are used to exercising caffeinated, but you will sleep better over time and your system will rejuvenate naturally. 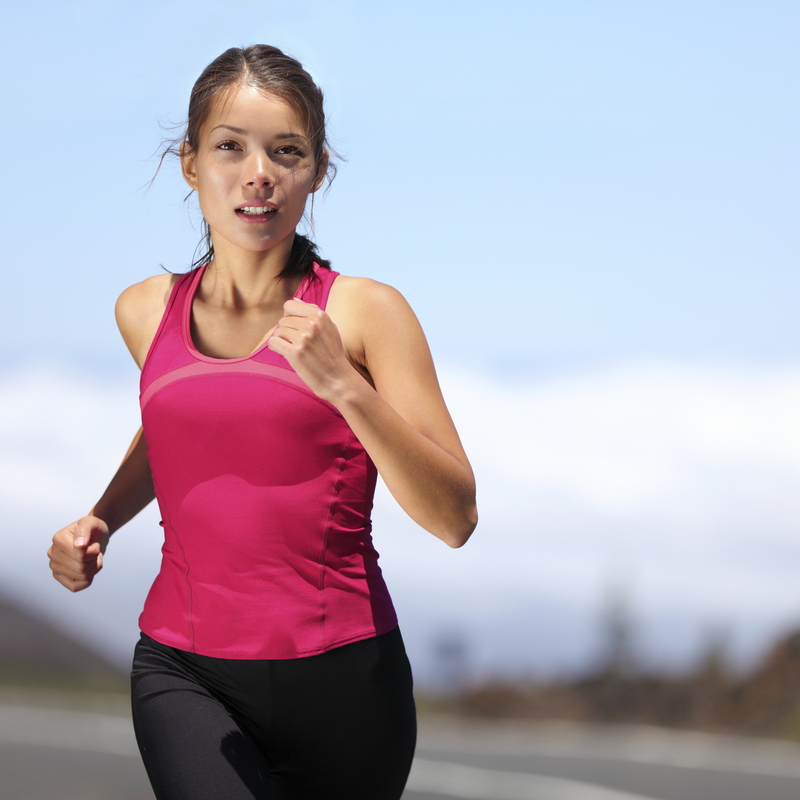 A healthy digestive system kept in check with exercise will keep your energy steady and high. Exercise also reduces anxiety and stress, which is often enhanced by drinking coffee,” says Tucker.